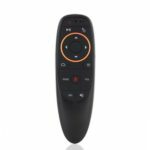 This G10 voice air mouse 2.4GHz wireless remote control is specially designed for easily controlling Smart TV, Android TV Box, PC and more. Plug and play, simple and convenient. It will bring you great convenience. 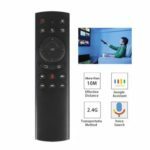 Via USB receiver, plug and play, and enjoy long-range wireless control up to 10m. 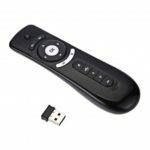 Press the voice button on the remote control to search for the channel you want, so convenient and practical. Perfectly support Google voice search and Google voice assistant. Perfectly fits your palm, providing comfortable handheld experience. Easy to control volume, page up/ down, Mouse left/ right, etc. Just sit back on your couch and enjoy the great convenience. 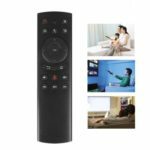 Suitable for Smart TV, Android TV Box, All-in-one PC, Laptop, Projector and so on.